The dynamic driving experience in the VW Golf GTI as well as its well-crafted design and the advanced amenities it offers makes it a worthy choice for your next vehicle. But which of the Volkswagen Golf GTI trim levels should you get for your next car? 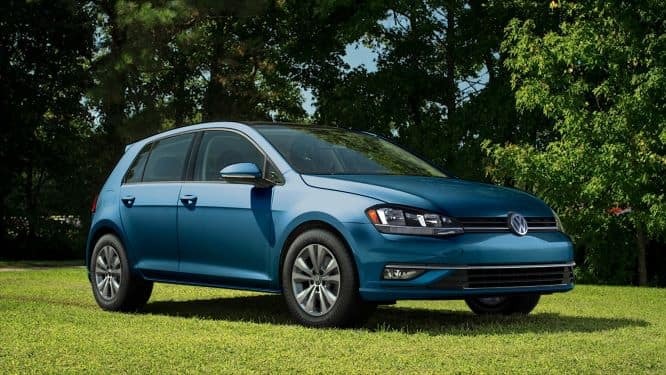 Our team at Toms River VW highlighted some of the standard features that come in each of the trim levels of the Volkswagen Golf GTI so our drivers in Toms River, Brick, and Freehold can determine the one that has the features they want. The shape and design of the VW Golf GTI S keeps its sleek and defined look with its striking front end and sloped hood. It also features some useful technology with automatic headlights and rain-sensing windshield wipers. The Volkswagen Golf GTI S is powered by a 2.0L TSI® turbocharged engine that produces 228 horsepower and 258 lb-ft of torque. This is paired with a six-speed manual transmission or an available seven-speed automatic transmission. And when you turn that engine on and start to drive around, you will have plenty of options for entertainment. You can listen to all your favorite music, podcasts, or anything else through MIB II touchscreen infotainment system that features Bluetooth® technology. And with Car-Net® App-Connect, you will be able to use your smartphone’s apps directly on the 6.5-in. display through Apple CarPlay™ or Android Auto™. New in the 2019 model, is the Rabbit Edition trim level. And the exterior and interior of the Rabbit Edition gets some stylish as well as useful design changes. It has a black-trimmed rear spoiler, wheels, and mirrors, as well as 18-in. gloss black aluminum-alloy wheels. Step inside the Volkswagen Golf GTI Rabbit Edition with the KESSY® keyless access and you will notice the nice touch of style with the re-stitched floor mats and the Rabbit-badged seat tags. And you can start the engine with ease thanks to the Push-Button Start. 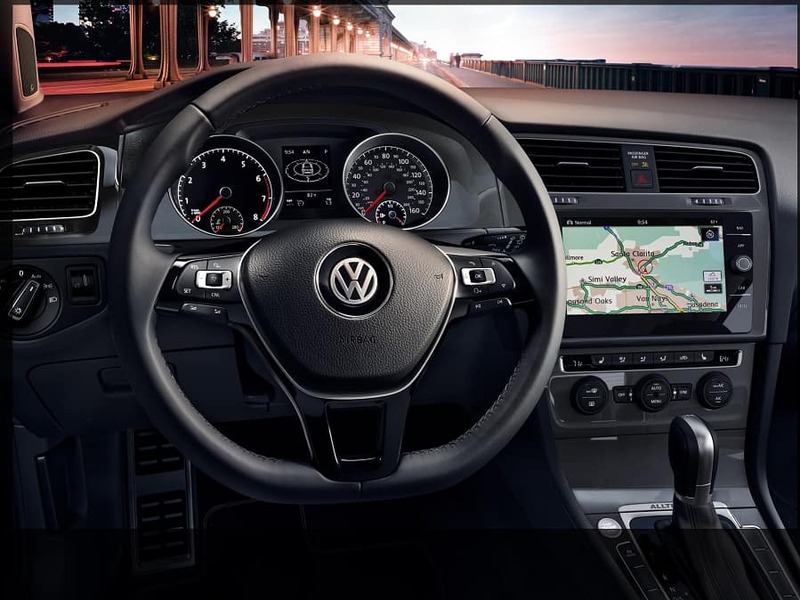 Inside the VW Golf GTI SE, you will notice that the infotainment display screen is slightly larger. This 8.0-in. touchscreen display also features a few more entertainment options with a three-month trial of SiriusXM® Radio and HD Radio™. You will also get added peace of mind in the VW Golf GTI SE thanks to VW Car-Net® Security & Services. With this system, you will get automatic crash notification, roadside assistance, and stolen vehicle location assistance, which all help you in various circumstances you may face. The system also gives you added convenience by remotely locking and unlocking the doors, honking and flashing the lights, finding where you parked, and the status of your car. There is a high level of luxury in the interior of the VW Golf GTI Autobahn, thanks to the Climatronic® automatic dual-zone climate control as well as the 12-way power driver’s seat. You also will have added technology to your infotainment system. While still having plenty of options to stay entertained, the Autobahn provides an exceptional listening experience with the Fender® Premium Audio system. And, arriving at your destination the quickest way possible is simple in the VW Golf GTI Autobahn since it has the navigation system a part of the Discover Media unit. You can simply use voice recognition to tell the system where you want to go and have it display turn-by-turn directions. Stop by Toms River VW today to learn more about the Volkswagen Golf GTI trim levels and contact our friendly team of sales representatives to help find you the VW Golf GTI that you have been dreaming about driving around Toms River, Brick, and Freehold!